Celebrating a decade-and-a-half of raw rock'n'roll. It’s hard to believe that it’s been 15 years since Alison Mosshart and Jamie Hince linked up, forming one of the most influential blues-rock bands of our time. 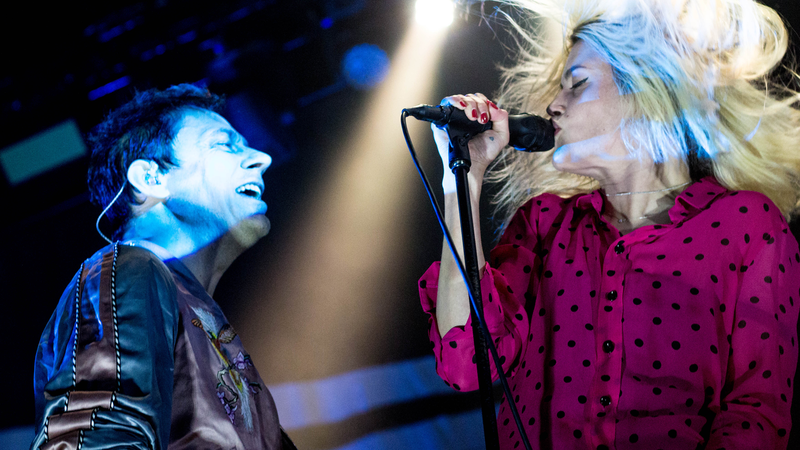 What makes The Kills' story so special? That they met by chance—when Mosshart was touring and just happened to hear Hince shredding on the guitar above the flat where she was staying. We’re glad the stars aligned the way they did, and that they’ve since blessed us with five studio albums to obsess over and grow up with. To celebrate their decade-and-a-half anniversary, the “Impossible Tracks” creators have added three new dates to their roster, including stops in Pioneertown, Anaheim and Oakland. Alison Mosshart spoke out about the new shows, claiming in a press release, “More dates will be announced over time, but for now, these are the locations for the initial celebrations!" Hot off the heels of their world tour in promotion of their recent album, Ash & Ice, we can only imagine how fast these shows are going to sell out. Pre-sale tickets are going on sale tomorrow, Wednesday, November 16 and will be available over on their website. Make sure to track The Kills on Bandsintown so you don’t miss any new tour announcements!